Split air conditioner systems are widespread among homes and businesses in Barbados. The simplicity of their use and powerful cooling power makes this air conditioner technology a popular choice. With the mild temperatures year-round, your ductless air conditioner will be working at peak performance to ensure relief from the heat. 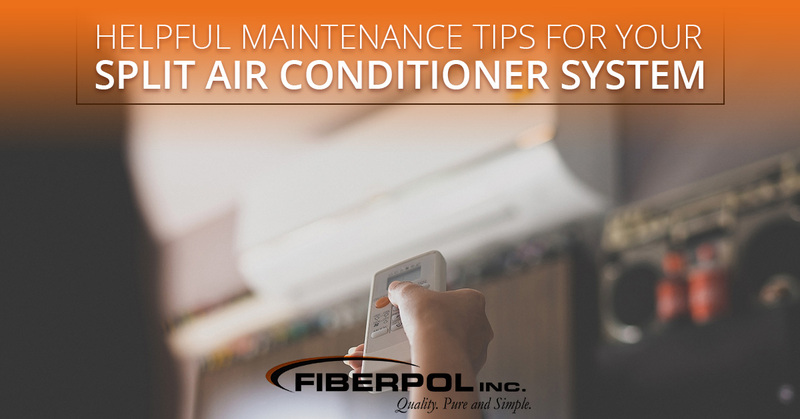 To ensure that your split air conditioning unit performs optimally, we put together some helpful maintenance tips to follow. Filters are one of the most important components of a split air conditioner unit. They catch any particles and allergens in the air, and eventually, will require cleaning. If the filters become too dirty, they can become inefficient at filtering the circulating air. How often you clean the filters depends on how often you use your split AC unit. As a rule of thumb, cleaning them once a month or every two months is the wise thing to do. Your split AC system compressor is in charge of cooling the air in your home. Maintaining the compressor is crucial for the overall functioning of the split air conditioner system. Ensuring to clean the compressor often will ensure more efficient and effective cooling, plus higher air quality. When air goes through your air conditioning system, an evaporator coil absorbs the heat and cools the air, which is then forced back into the room through the blower. Over time, the evaporator coils will begin to wear and become ineffective. By replacing old evaporator coils, you can significantly improve the airflow and air circulation inside your home or business. Although it can be pretty hot year-round, there are times when you won’t need to keep your split air conditioning system running. When temperatures are cooler, like during the morning and later at night, make sure to turn your ductless AC unit off. Leaving your home or business for the weekend or multiple days? If so, shut off the power supply completely. Cutting off the power supply will prevent the unit from using electricity when it’s not in use. Ideally, it is good to give your system a break every once and awhile. While they do not need as much service as conventional air conditioning units, your split air conditioner should be serviced by experienced professionals to increase its longevity and ensure it optimally performs throughout the year. Typically, units should be serviced every couple of years, unless there are noticeable changes in efficiency or effectiveness. By following these maintenance tips, you can enjoy the benefits of your split air conditioning system. Interested in a Split Air Conditioner For Your Home or Business? 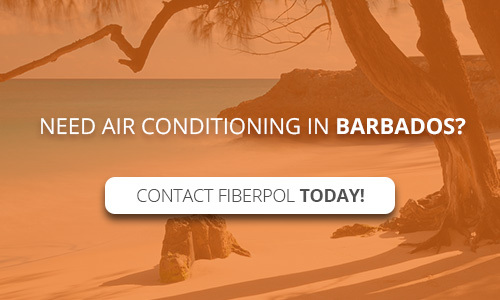 If you are interested in getting a split air conditioner in Barbados, contact the team at Fiberpol. We carry Streamline Air Conditioners — some of the most innovative and efficient reverse cycle air conditioners available. If you are interested in learning more about inverter air conditioning technology or want to take your first steps toward experiencing a cooler, more comfortable space with our air conditioner units, give us a call today.